Last Tuesday, as the first Tuesday of the month, our trained advisers held a drop-in at Tadworth, some miles from our full service offices in Redhill and Banstead. The idea is to make free, independent and impartial advice available to as many R&B residents as possible as conveniently as possible. This matters to people who find transport difficult or prefer to stay close to home. It’s also an important part of our equality and diversity strategy. 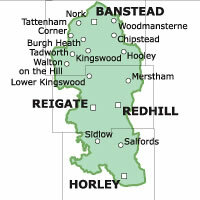 We have another outreach at Horley and in recent times CARBS advisers have worked in GP practices*, Merstham Library and HM Prison High Down, Banstead. Our place at the heart of a local network of public and voluntary service providers will undoubtedly help. We’re already cooperating in useful ways with JobCentre Plus, Raven Housing, Surrey libraries and local charities. * See our blog on NHS Long-Term Plan launched last month. NHS England has recognised the potential for patient well-being of providing non-medical services in NHS settings.